Research Motto: In theory, there is no difference between theory and practice. But, in practice, there is. 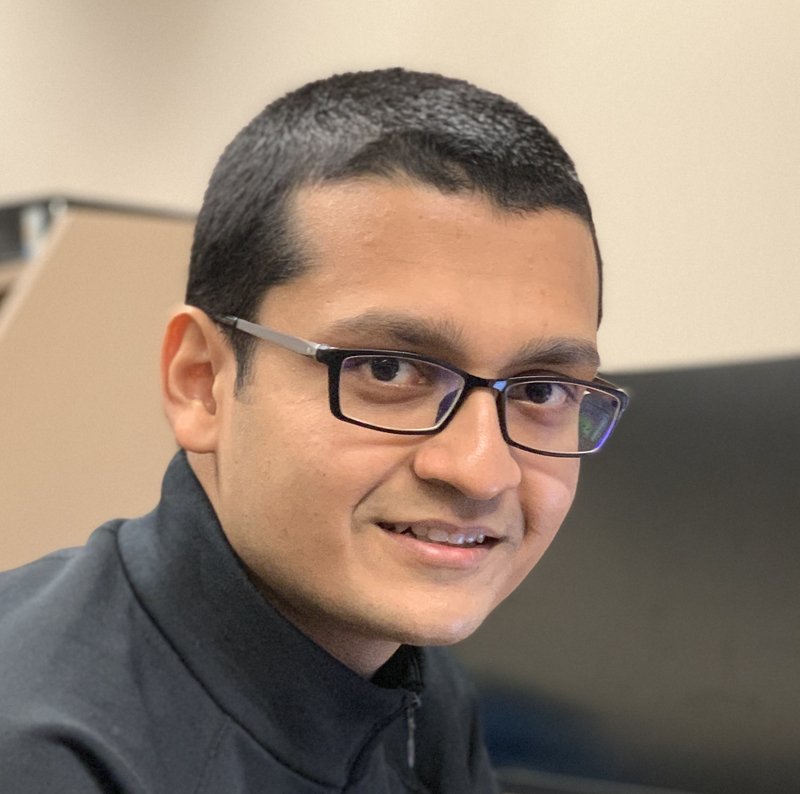 I am a second year PhD student under Prof. Abhishek Chandra in the Computer Science Department at the University of Minnesota-Twin Cities. I also collaborate with Prof. Ramesh Sitaraman at University of Massachusetts, Amherst. Broadly, I am interested in Distributed Systems and its application in Data Analytics and Machine Learning. Currently, I am working on problems related to Geo-distributed Streaming Analytics and also looking to apply machine learning based techniques in systems. I graduated in 2014 with a Bachelors in Computer Science from BITS-Pilani, India. At BITS-Pilani, I was a part of Advanced Data Analytics and Parallel Technologies Lab, where I worked on parallel and distributed algorithms for data mining. Dhruv Kumar, Jian Li, Abhishek Chandra and Ramesh Sitaraman. 3M Science and Technology Fellowship. Rank 1 in Class of 2014 of Computer Science, comprising of 120 students. Rank 3 in Class of 2014 of BITS-Pilani, comprising of 800 students. Improved the efficiency of risk-management system by suggesting improvements to the SQL queries going to Sybase IQ database. Assisted in migrating from Sybase IQ database to MemSQL database for faster access. Implemented a H2-database based server for allowing real-time updates to the tables residing in the servers. Learnt about the real life use-cases of databases. Dhruv Kumar, Poonam Goyal, Navneet Goyal. In International Journal of Data Analysis Techniques and Strategies, 2018. Poonam Goyal, Sonal Kumari, Sumit Sharma, Dhruv Kumar, Vivek Kishore, Sundar Balasubramaniam, Navneet Goyal. In IEEE International Conference on High Performance Computing and Communications (HPCC), 2016. Poonam Goyal, Sonal Kumari, Dhruv Kumar, Sundar Balasubramaniam, Navneet Goyal, Saiyedul Islam, Jagat Sesh Challa. In International Conference on Distributed Computing and Networking (ICDCN), 2015. Poonam Goyal, Sonal Kumari, Dhruv Kumar, Sundar Balasubramaniam, Navneet Goyal. In ACM India Computing Conference (ACM COMPUTE), 2014.